Welcome to Koh Phangan, the magical crystal island. Legend has it that the island is situated on top of giant Quartz crystal, making it a most spiritual place with healing energy and an amazing location for your detox programme. One of three islands in the Samui archipelago, the white-sand shores of Koh Phangan may feel a little isolated–a throw-back to simpler times, a home to expats and backpackers looking for a quiet laid-back escape. But that doesn’t mean there aren’t a plethora of healthy things to do as you rest, cleanse, and nourish your body during our detox programme. So, check in with our staff, settle in with a cup of tea in the Orion Wellness Lounge, and get to know your fellow detoxers. And once you’ve made yourself at home, plan on filling your days with plenty of healthy things to do on Koh Phangan. Awaken your body with some light yoga at our different yoga shalas, with ongoing classes like Gentle Yoga and Restorative Yoga held throughout the day. We’re sure you will find a class to your liking with our daily running schedule. Looking for a little enlightenment? Get in touch with your Higher Self with our midday meditation sessions, happening daily, also. Find calmness and peace, connect back to Self through your breath, detox your mind, and let go of the negativity and drama in your life–you’re sitting on a crystal in the midst of the Gulf of Thailand. Rejoice. Experience the power of sound through our selection of sound healing workshops. We have a Himalayan Sound and Energy Healing Meditation workshop or partake in the Shamanic Sound Healing sessions to induce an experience of soothing relaxation, during which you will find yourself letting go of stress and anxiety, and leading to a better night’s sleep. Want more? Pick up the pace just a bit by joining in song with some Ecstatic Kirtan call-and-response chants to open the heart and lungs and get your blood pumping. Sound and song healing helps us to synchronise our brain waves through vibration and allows us to shift into deeper frequencies like alpha and theta states. And it just feels right. Don’t be afraid to pamper yourself a little. To help increase blood circulation and relieve muscle tension, enjoy a traditional Thai massage that releases blockages in the body. Choose from a shoulder and neck, a foot, full-body, or abdominal massage to help energise and relax the body. Then finish it off in our herbal steam room or infrared sauna to sweat out toxins, open your pores, and enjoy some quiet reflection time. 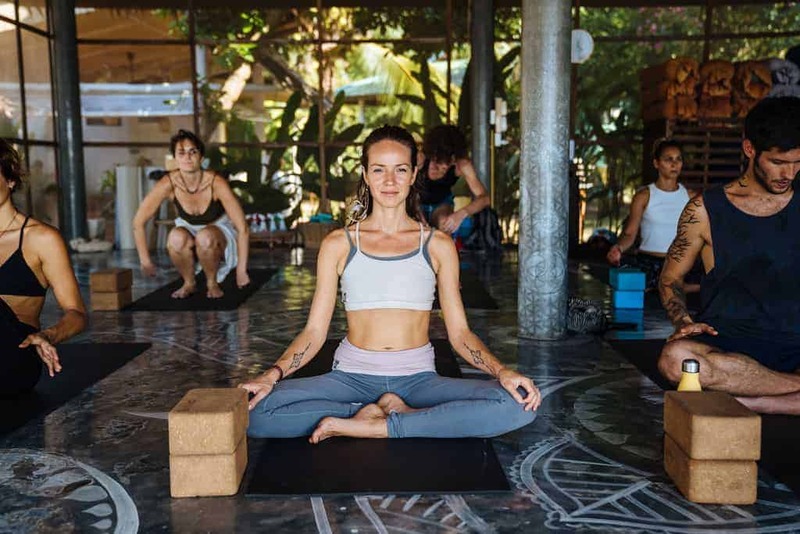 These are just some of the on-site activities at Orion designed to help you find your groove and slip into the chill of a restorative detox on this tropical island paradise. But the activities don’t end on our doorstep. Koh Phangan is brimming with other healthy activities just waiting for your participation. Feel the sand between your toes on the treasured beaches of Koh Phangan and while the day away, looking over the beautiful azure sea. We recommend, of course, Srithanu Bay known for its yoga culture and quiet seaside village; and Bottle beach accessible only by boat for that far-far-away feeling. With names like “Happy” and “Zen” you should check out these excellent beaches, too. While you can hire a motorbike and explore the many beaches around the island, you can also catch a ride on a traditional Thai longtail boat taxi to take you for a beach-hopping tour around the island. If you’re more adventurous, consider exploring some of the island’s natural waterfalls such as Than Sadet and walk to the refreshing soaking pools where your goal is to lose track of time. The three-kilometre waterfall is a peaceful place for meditating, praying, and reconnecting with nature. If you aren’t a sufferer of vertigo, climb up higher to the viewpoint for stunning sunrises. Clamber onto some rocks and bask in the sun or find a comfortable spot in the shade for a day of mindful meditation. For those who want something more lively, Koh Phangan is the home of the full-moon party where the crowd gathers to celebrate this celestial event every 28 days. Not here for the occasion? No worries: after sunset, Koh Phangan plays host to several sites that offer ecstatic dancing. Close your eyes, surrender your body to the beat, and let go of your inhibitions as you move freely with others to the lively music. Taking place at various venues across the island, ecstatic dance is a safe, alcohol and drug-free space where everyone is encouraged to let loose. Don’t worry; no one is watching, no one is judging. Just have some fun. You’ll be surprised at how invigorating and liberating it is. Looking for something deeper? Open your heart with a sacred cacao ceremony. Based on ancient Mayan and Aztec traditions, pure cacao is a powerful heart-opener used in Shamanic healing ceremonies to significantly increase blood flow. Imbibe in cacao ceremonies happening across the island, where you can set intentions, pray, sing, and share in the Oneness. Of course, everyone needs to eat. So, enjoy a fruit picnic at Zen Beach, where everyone is invited to join the group and share stories and fruit with a fun, community vibe. What better way to try out the fruitarianism lifestyle than on a tropical island? Share and sample exotic tropical fruits like fresh dragonfruit, jackfruit, mangosteens, and mangoes and enjoy all that Mother Nature has to offer while making friends at the community picnic. Stay on for the drum circle after the picnic for more beats and music into the evening. What something a little heartier? Take a vegan cooking class at Orion and discover how to prepare cruelty-free, delicious, and healthy meals that will suit every tastebud. Explore a menu with raw sushi, raw spring rolls, chocolate fudge and much more that will impress even your pickiest friends and family members. As you go through our detox programme, your free time is your own. Use it to explore the rest of Koh Phangan and its natural surroundings while indulging in healthy activities. With wellness, movement, and food on the menu, you’ll find this crystal island paradise is the perfect escape to let your body and your mind reset, heal, and thrive.